Ontario Seed Company is proud to be associated with Bayco Golf as a preferred vendor/industry leader to support your golf course needs. 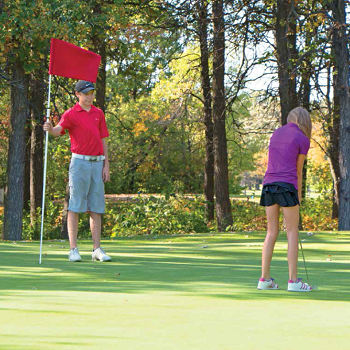 Bayco Golf is a Canadian manufacturer of golf course accessories located in Winnipeg, Canada. Bayco Golf's staff and management strive to offer products of the highest quality to the golf course industry around the world. 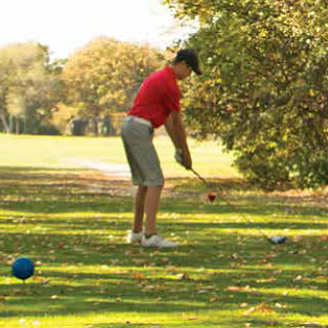 Ball Washers & Accessories, Litter Bins/Baskets, Divot Mix Containers, Tee Markers, Benches, Coolers. Markers, Stakes, Rope & Chain, Turf Marking Paint. Flagpoles and Reflectors, Custom Flags, Flags, Hole Cutters, Hole Paint, Sand Trap Bunker Rakes. 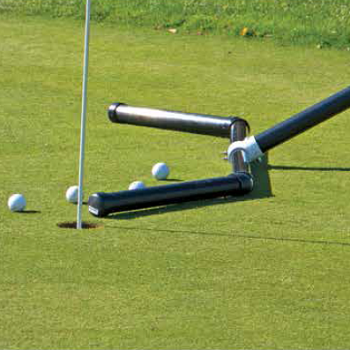 Practice Green Markers, Practice Flags, Range Banners, Club Washers, Chipping Ball Pusher. 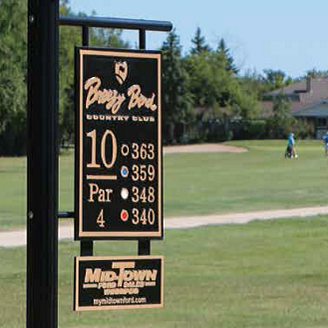 Directional Signs, Bronze Aluminum and Recycled Plastic Signs, Custom Signs. 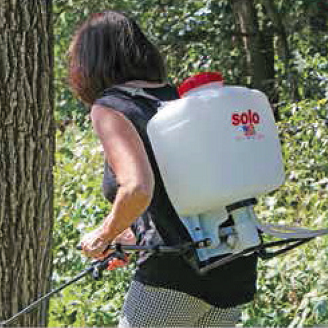 Soil Samplers, Sprinkler Head Trimmers, Hand Aerifiers, Back Pack Sprayer, Superlight Landscaper Rake. Benches, Spike & Boot Cleaners, Sand & Seed Racks/Bottles, Bag Rack, Proximity Markers. 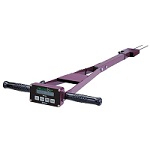 Lesco Spreaders, Gandy Drop Spreader, Prizelawn Spreader, Spectrum Soil Meters, TDR Meters, Soil Compaction Meters, Probes. 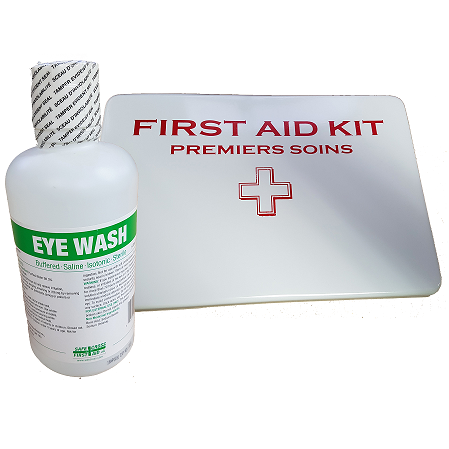 Work Gloves, Spray Gloves, Spray Respirator, Respirator Cartridges, Coveralls, Ear Plugs, Goggles and Safety Glasses, Eyewash Stations and Solution, First Aid Kits, Bug Repellant Spray, Rain Suits. 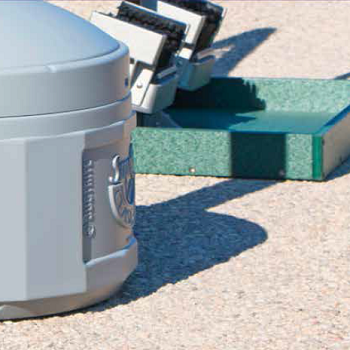 Click here for a complete catalogue of BAYCO products available from OSC. 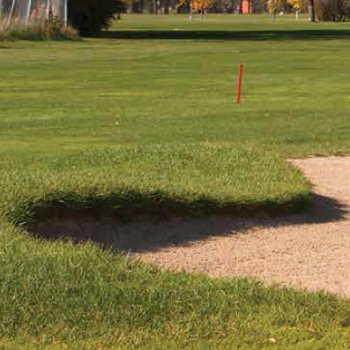 Contact an OSC Turf professional today to guide you through our complete product line.